SsangYong will show the SIV-1 concept at the 2013 Geneva Motor Show. 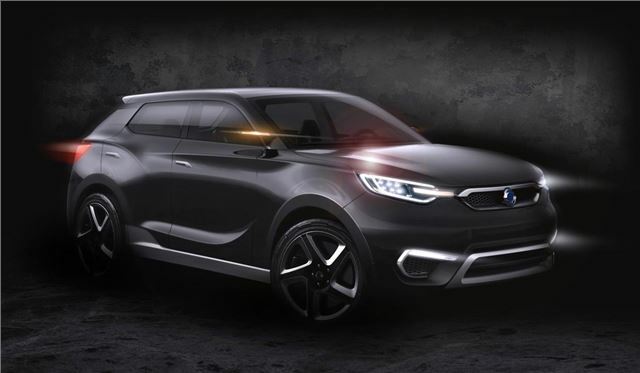 It has been built to preview the brand’s future design direction and shows what future small SsangYong SUVs like the Korando will look like. The pictures show an angular design with bold wheel arches and brushed silver details, along with LED-style head and tail lights. The interior features four individual bucket seats – but aside from that details are sparse. All that SsangYong has released are the dimensions, which show it’s around the size of a Land Rover Freelander or Range Rover Evoque. It’s also letting on that there will be some kind of high-tech user interface in the cabin, but to find out more you’ll need to wait until the Geneva Motor Show in March.